No Coupon Needed!! Hot Deal on RedGold Tomatoes! 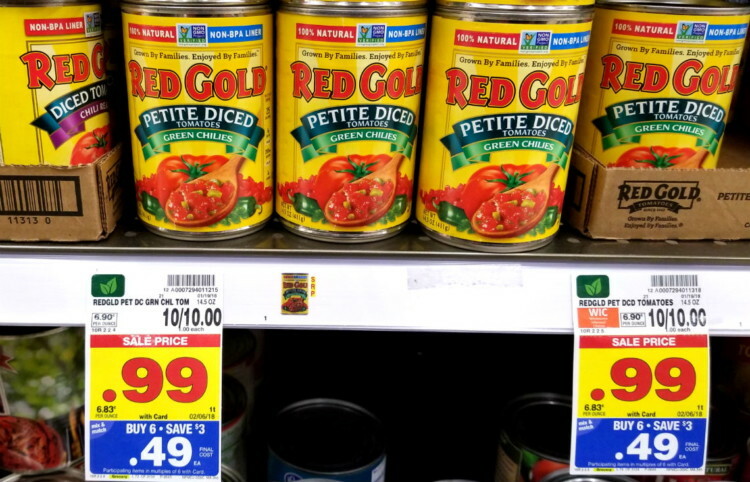 Hurry over to your local Kroger and score a great deal on canned diced tomatoes! Several varieties are on sale for $0.99, and when you buy 6, save $3 making them just 49 cents per can! Hurry! Just imagine all the soups and sauces you can make when you stock up while they’re on this hot sale! Next postTime to STOCK UP on Pasta!